When I showed up to Ceviche in Downtown Orlando for Lily and Will’s wedding, I had no idea I was walking into my Game of Thrones dream wedding. As a big fan of the show, every small detail was so exciting. From Lily’s dragon ear piece, to the gold dragon “scales” on their intricate wedding cake, and the three dragon eggs placed by the bride and grooms chair, it was the perfect wedding day meets Game of Thrones day. 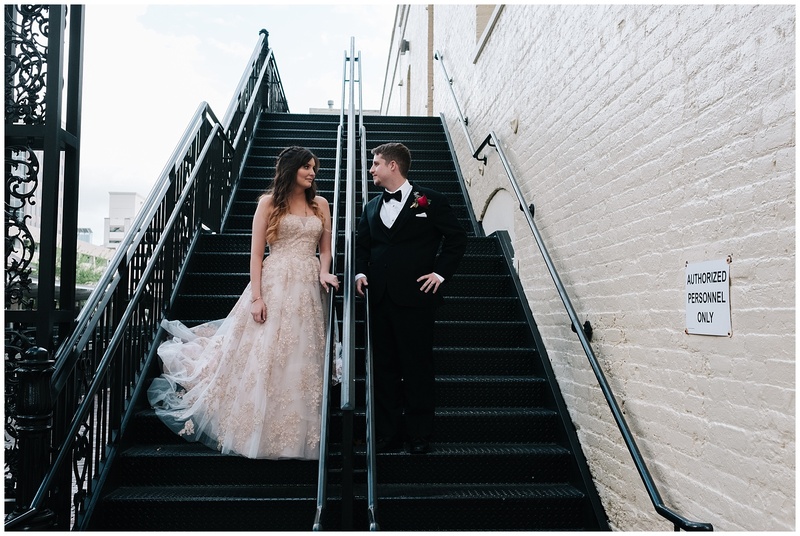 Lily and William decided to do a first look, and their love for each other was so evident from the moment she tapped his shoulder. With the background noises of a pride festival, and an Orlando Magic basketball game beginning, it’s like they drowned out all of the background noises and went into their own little world. By the end of the night, guests were breaking it down, with the Game of Thrones theme song making an appearance, and sent the couple off with a gorgeous sparkler exit.